Lonny Magazine is the ultimate online destination for interiors inspiration. With chapters that help you meditate on your space, go on a home cleanse, find unique decor pieces that speak to you, transform raw inspiration into actual design solutions, and continue to grow your space over time, The Lonny Home is a beautiful book that demystifies stylish living, as well as encourages you to cultivate home habits that give your happiness and health a boost. Peppered with house tours of real-life homeowners and advice from celebrated experts in diverse walks of life, The Lonny Home will provide you with hands-on information for solving some of our homes’ most common problems—like lack of light and all that clutter—as well as fun ways to brighten your space with tabletop vignettes, shelfies, gallery walls, and more. 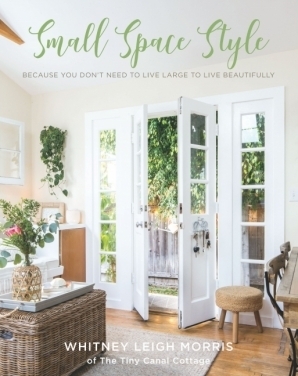 With sage text penned by stylist and influencer Sean Santiago, you’ll learn how to re-envision your environment so it survives the trends and becomes an attractive sanctuary—no matter your personal style and where you are in your life. Brimming with charming illustrations and exquisite interiors photography (both freshly commissioned and from the magazine’s vault), The Lonny Home is more than a book of the latest decor ideas—it is a journey in how your home can better reflect and support you in all that you do, and an art object you’ll want to give a permanent place on your coffee table as decor itself. Lonny Magazine is the ultimate online destination for interiors inspiration. Launched in October 2009, Lonny is a monthly online magazine that focuses on lifestyle and home decor. It has been featured in Vanity Fair, the New York Times, and blogs worldwide, and has highlighted design luminaries ranging from Cath Kidston to Kelly Wearstler. They have 250K+ Facebook fans, 250K+ Instagram followers, 270K followers on Pinterest, and 200K+ followers on Twitter. Their weekly newsletter has 116K subscribers and they have more than 3 million monthly readers.